Clean solar panels offer tremendous benefits, and Heliotex is the solar panel cleaning company whose products can help you reap those benefits. Our residential solar panel cleaning systems can help you to increase output by as much as 5 to 30%. Extremely effective and easy to use, our automatic cleaning systems work on solar panels from the industry’s leading manufacturers, including Sharp, Mitsubishi, Kyocera, SunPower and more. We also offer specially cut security bolts, security screws, and Unirac security fasteners for maximum system protection. 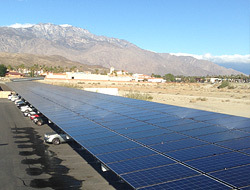 Are your solar panels producing as efficiently as they could and should be? If not, it may be because they are not as clean as they need to be. Change that scenario by calling Heliotex today. When was the last time you cleaned your solar panels. When you do clean them do you do so manually? Make the cleaning process easy on yourself and reap the benefits of a clean solar panel system by installing one of Heliotex’s state-of-the-art cleaning systems. Clean solar panels are a must, and with our washing systems that's exactly what you'll have year-round. Look to Heliotex for a system to keep output high and your panels clean. What could be better than a system that does the cleaning for you, and cleans as often as you’d like it to? Heliotex has made cleaning your solar panels as easy as can be, and our customers are loving the results they are seeing in terms of increased output. 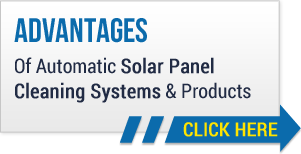 Heliotex is a well-known and highly respected name in the solar panel industry. Should you have any questions about solar panel cleaning and our cleaning systems, we would be happy to answer them for you. Call us at your convenience, and take the first steps to making your solar panels all they can be.